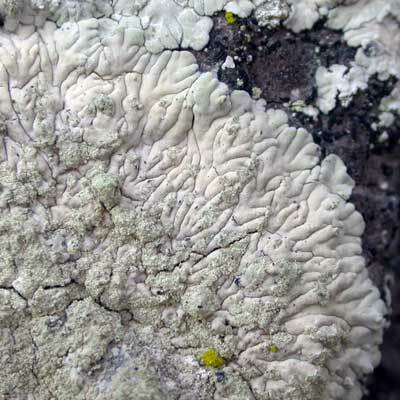 This crustose lichen has a white to pale grey thallus with neat, convex, marginal lobes. 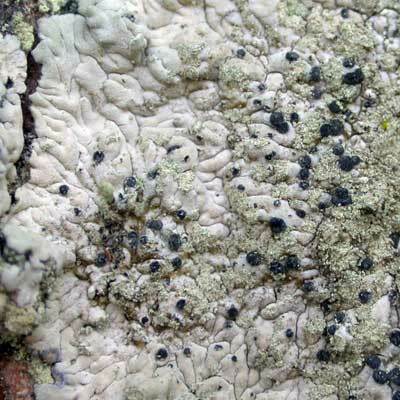 It can become covered in soredia a shade darker than the thallus. It is a familiar rosette-forming species in sheltered habitats exposed to nutrient-rich dust. 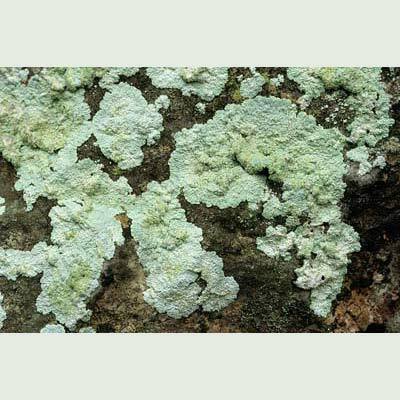 Older specimens often lose their centres, especially on steep, vertical walls and on churchyard headstones. Black discs occur, but are usually uncommon. 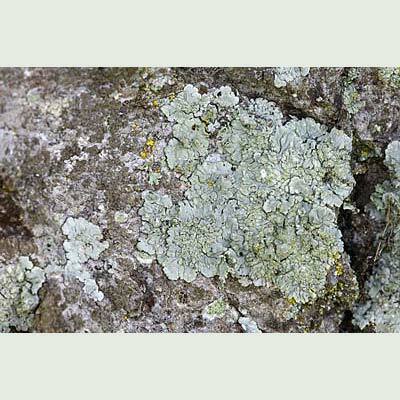 Frequent on nutrient-rich trees, old buildings and monuments. Soredia frequent; old crusts can loose their centres. Simms, M. J., (2016). 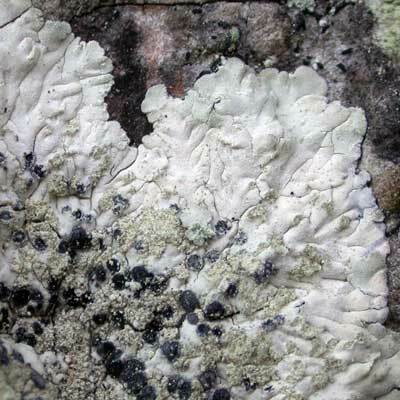 Diploicia canescens (Dicks.) 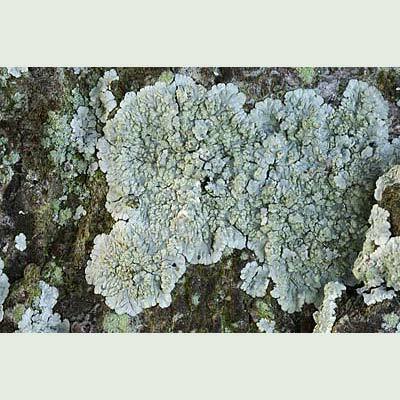 A.Massal.. [In] LichenIreland.